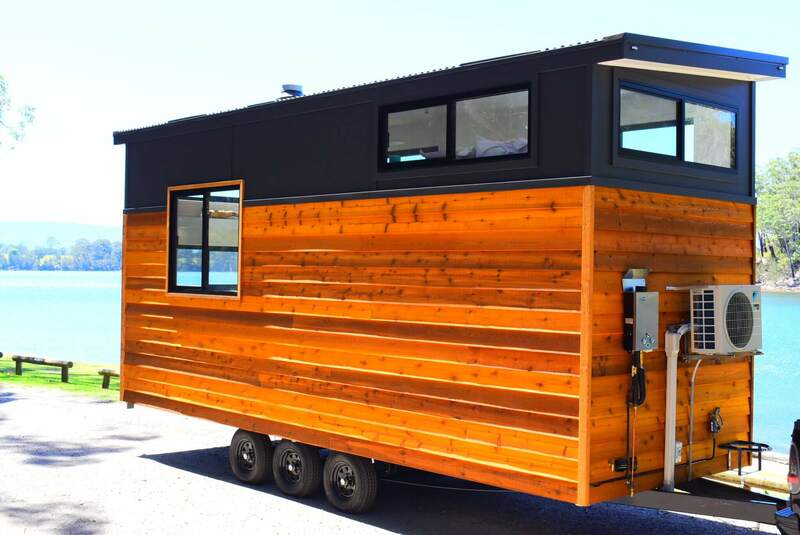 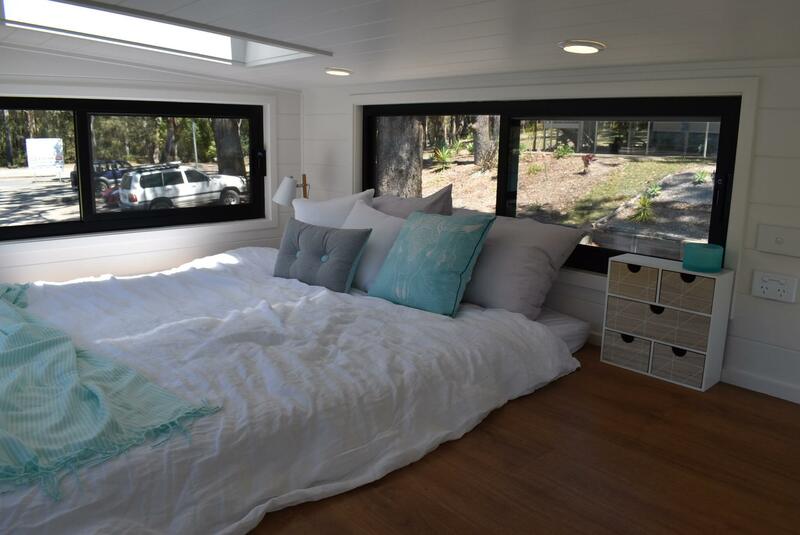 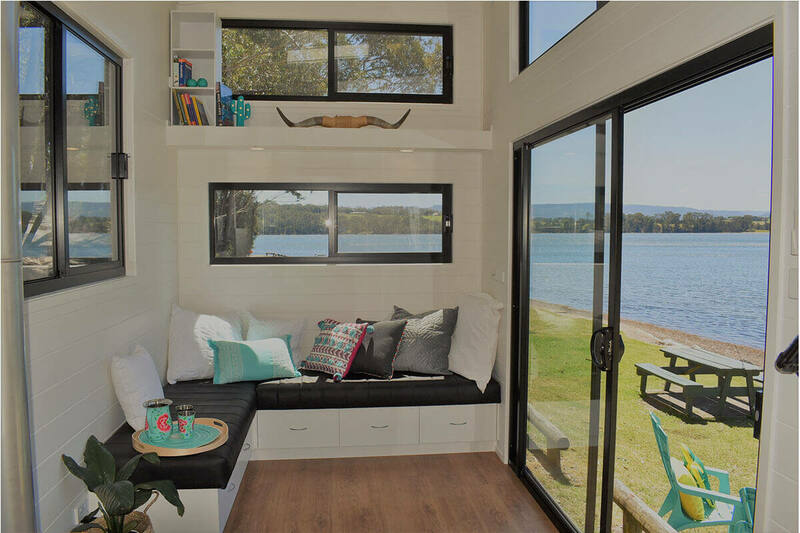 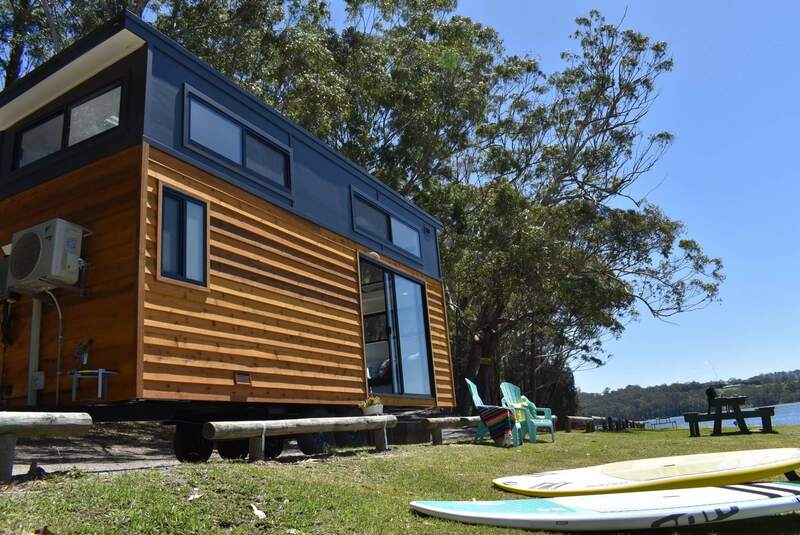 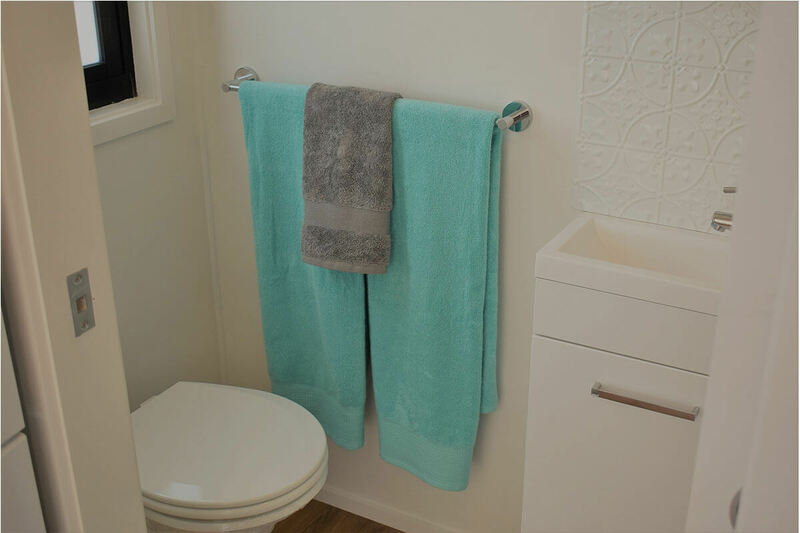 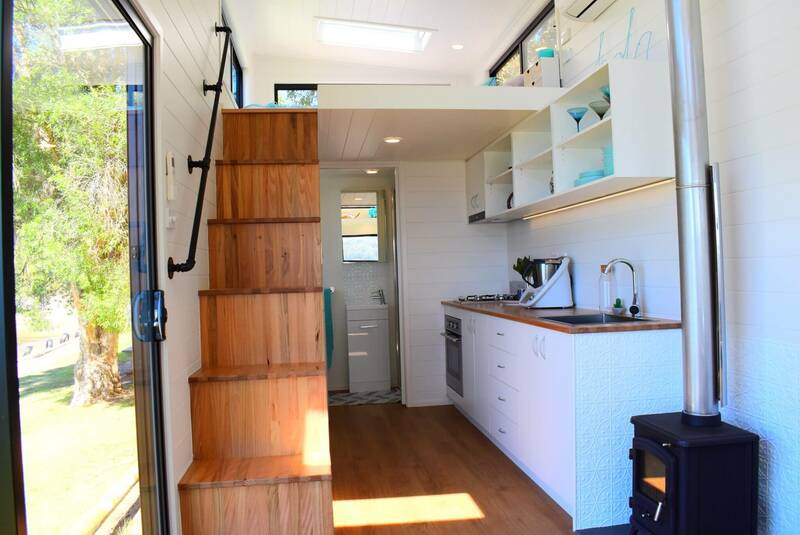 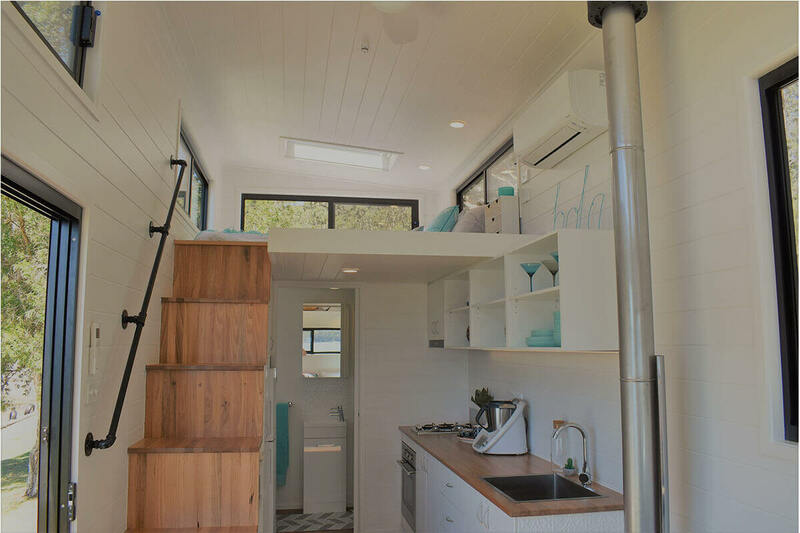 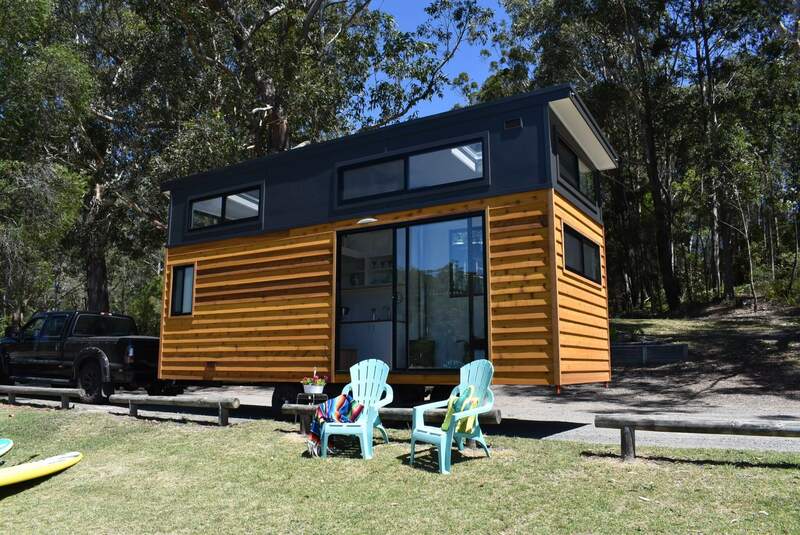 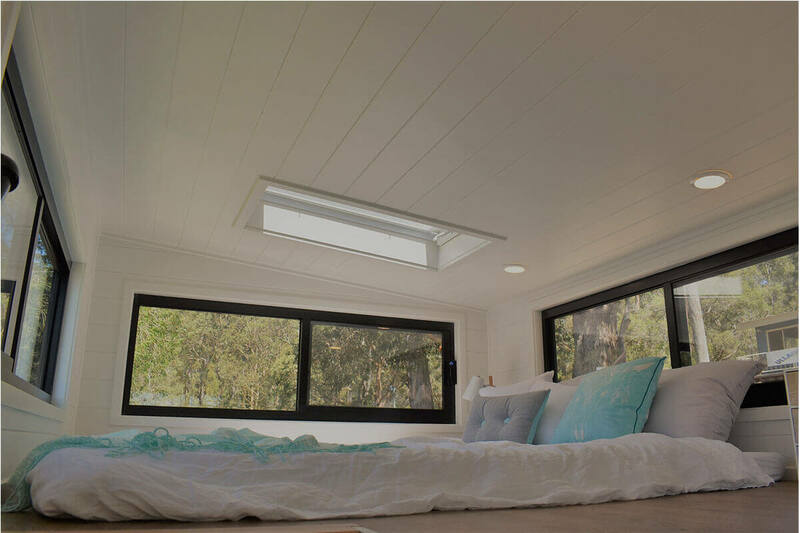 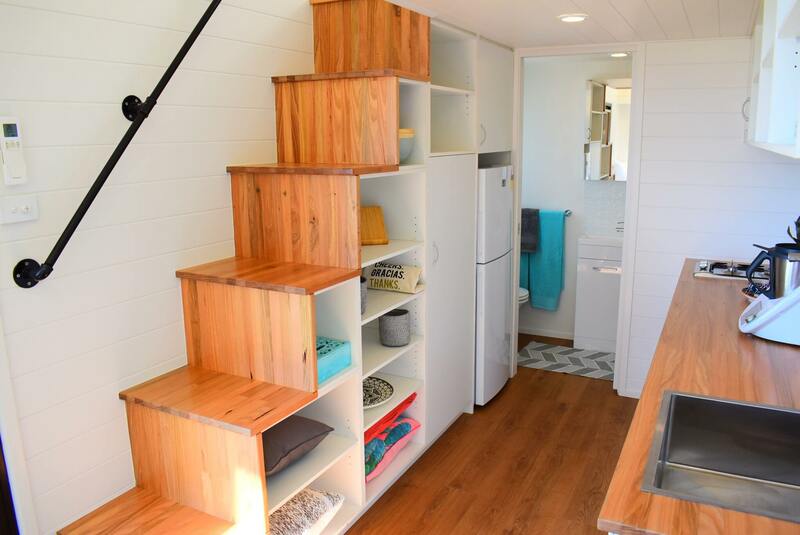 Fitted with a master sleeping loft over the bathroom and kitchen areas, this tiny home offers the largest open plan living area of any of our tiny homes. 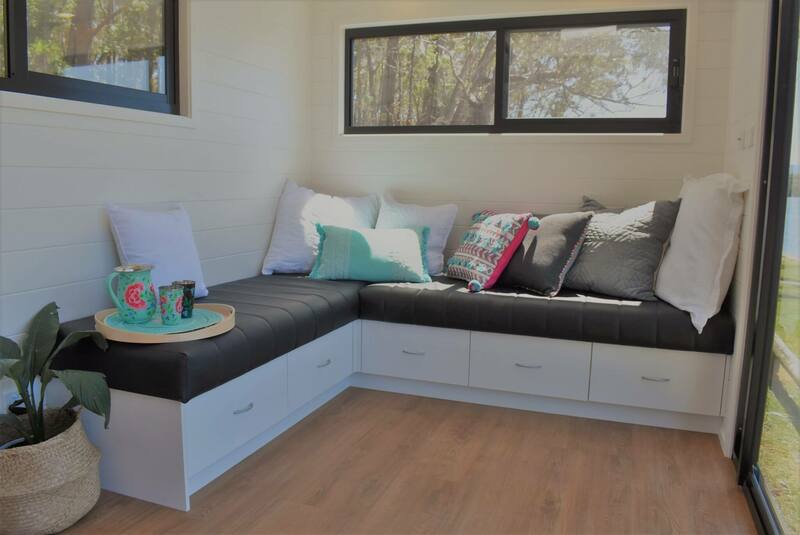 High vaulted ceilings create a wonderful feeling of space, with ample light coming through the double sliding entrance door and feature highlite windows. 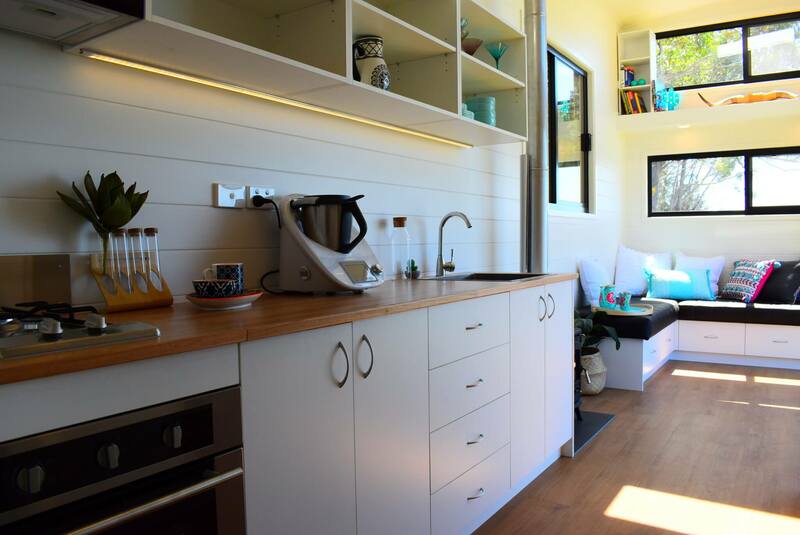 Perfect for permanent living guest house/Air B&B, or a weekend retreat.